The secret report was a letter sent by Savanta on May 1, 2018 to a Niagara Falls City planner John Barnsley. The letter was not released to the Niagara Falls City Council or the general public in time for the May 8 statutory Public Meeting and Council vote on Amendment 128. The report concerned an area which until October 2017 was considered part of the NFSFWC. It was termed Wetland Number One by a study by Savanta, ecological consultants for the developer which seeks to destroy the wetland, GR Canada. (Inc) The wetland is now considered in Amendment a study area FOD7-3. The previously secret Savanta report that “Visual surveys for egg masses in vernal pool features identified western Chorus Frogs.” It also revealed that adult Western Chorus Frogs were also found in the disputed wetland. The Savanta study admitted that, “Western Chorus Frog has been documented extensively throughout the Riverfront community.” The name “Riverfront” is what is was given to the Amendment 128 lands which at the May 8 Public Meeting, by GR Canada Attorney Jane Pepino. Here Pepino revealed that Riverfront was the first stage of a development which would eventually consume most of the NFSFWC, an important core area of breeding habitat for the Western Chorus Frog. The abundance of Chorus Frogs in Thundering Waters is illustrative of what its federal recovery plan notes is its helpful role as an indicator species. Here as in other parts of southern Canada where it has survived, its endurance is a good sign for other species. These species include the Gray Tree Frog, Leopard Frog, Green Frog, Northern Spring Peeper and the Snapping Turtle, a Species At Risk. The federal recovery plan for the Western Chorus Frog reveals that the area from the Niagara Escarpment to Lake Erie and the Niagara River to the Six Nations Reservation straddling the Grand River, is the core habitat for the Western Chorus Frogs. In other parts of its range south of the Canadian Shield an ominous disturbing silent spring is spreading on the landscape. The sounds of male frogs calling for mates may be replaced by the less melodious din of traffic. Recently a House of Commons Transportation Committee advocated building a mid-Niagara peninsula expressway, which if constructed, would devastate the core habitat of the Western Chorus Frog. One of the principal area in which it would release toxic salt and chemical sprays is the forested wetland complex a great have for vernal pool obligate species such as auras and the Blue Spotted Salamander is the Caistor-Canborough Slough Forest. There is a danger of losing a great natural wonder in Brant County- Niagara region before it is recognized and appreciated. Roads and development can go on other areas without wrecking a treasure house of bio-diversity. In a revealing move Ontario Premier Doug Ford announced the shutdown of the newly created Local Planning Appeals Support Centre (LPASC). One of its important actions was to provide me with secret documents that had been suppressed improperly by the Niagara Falls Planning Department. These letters exposed how junk science paid for by a private developer was used to justify the destruction of provincially significant woodlands and wildlife habitat. Thundering Waters Forest. Photo by Martin Munoz. The suppressed letters were from Tara McKenna District Planner for the Guelph division of the Ministry of Natural Resources and Forestry (MNRF). The letters she wrote were to the Director of Planning for the City of Niagara Falls, Alex Herlovitch. They were dated December 11, 2017 and January 15, 2018. The suppressed letters were in effect, scientific peer reviews of the work of the consultants, Savanta, a major corporate developer, GR Canada. They are proponents of Official Plan Amendment 128 to the Niagara Falls Official Plan. If approved the amendment would destroy 120 acres of natural habitat for nine Species At Risk. These are the Snapping Turtle, Midland Painted Turtle, Acadian Flycatcher, Dense Blazing Star, Kentucky Coffee Tree, Wood Thrush, Eastern Wood Pewee, Chimney Swift and Barn Swallow. When acoustic surveys completed in July 2017 are finally released we may know if there area as suspected three species of Endangered Bats here. Although only 120 acres now are proposed for development, the Attorney for the GR Canada has vowed to proceeded with later Phase Two application. McKenna told the Niagara Falls Planning Department that “Wetlands are not to be removed on the rationale that they will be destroyed by the proposed development.” She also explained to them that “storm water management facilities” to treat pollution were supposed to be established in protected wetlands. MNRF’s letter also revealed how a number of “rare vegetation communities” were threatened by the development, most notably “old growth forests.”She decried efforts to individually remove protections from components of the protected Niagara Falls Slough Forest. Her letter stressed that such an approach violated MNRF’s “standardized” wetland evaluation policy. LPASC’s release of McKenna’s letters expressed MNRF’s concerns exposed how at least 9 Species At Risk are threatened by the Riverfront development in Niagara Falls. 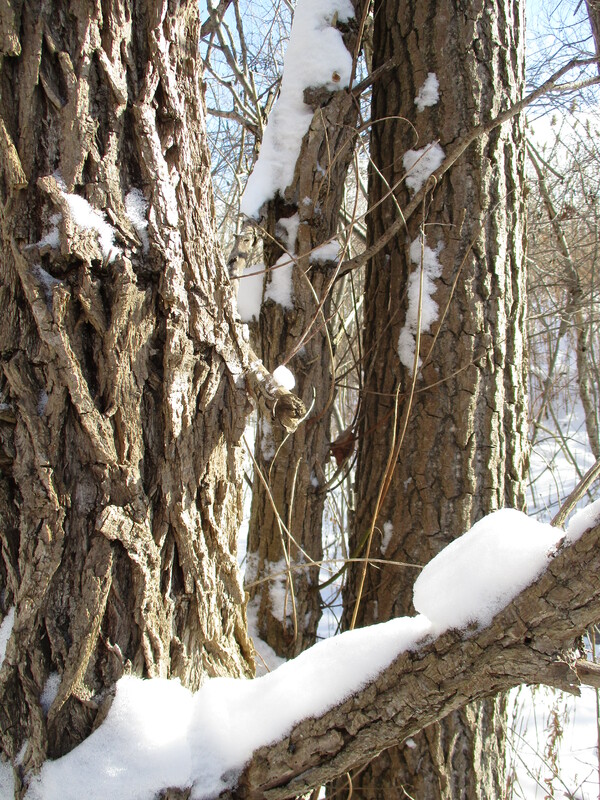 The December 11, 2017 asked that the area where the Threatened Kentucky Coffee Tree was found be mapped. 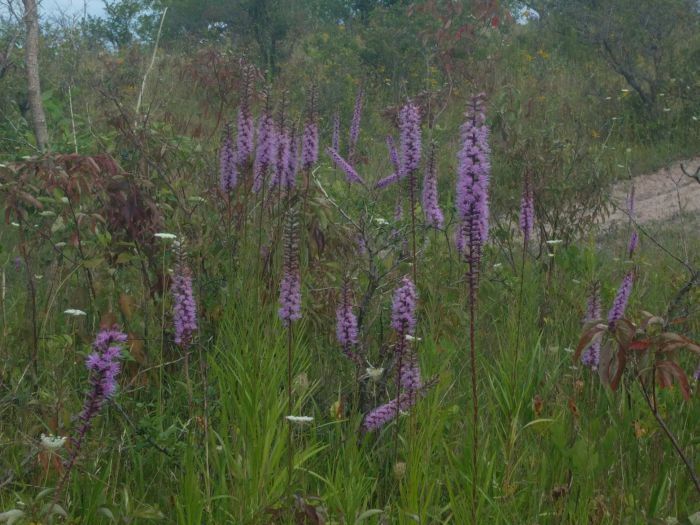 It found that Savanta’s focus on Snapping Turtle nesting areas was too narrow and urged that “The ecological function of the entire feature and adjacent lands should be evaluated.” The letter also found that Savanta “had not demonstrated the absence of turtle nesting areas on site.” It also challenged Savanta’s claims that a Threatened Wildflower, the Dense Blazing Star, was not native to Niagara. This species was discovered by Daniel Nardone in a August 2017 sit in on the threatened site. Ford’s plans to dissolve LPASC are a crude example of how his scheming aids developers’ who threaten lands of great ecological sensitivity and biodiversity. In battles to protect such areas truth of this most powerful weapon. Ford ‘s move if not reversed, will benefit the powerful who plan to win hearings of the Local Planning Appeals Tribunal through the use of biased junk science. Had the Niagara Falls Planning Department succeeded in concealing the letters of December 11, 2018, and January 15, 2108, this would have been accomplished. Will Niagara ever have a focused and effective Conservation Authority? Last week, the alleged management of the Niagara Conservation Authority fired Stuart McPherson, the agency’s last resident ecosystem restoration expert. Mr. McPherson was uniquely qualified as a water quality expert, with knowledge of the science and familiarity with the issues surrounding the management of Niagara’s watersheds. This action was approved by the interim Board of Directors, acting without the advice of a qualified CAO. According to Conservation Ontario, “Conservation Authorities are local, watershed management agencies that deliver services and programs that protect and manage water and other natural resources in partnership with government, landowners and other organizations.” Unfortunately NPCA’s action not only ignores this mission, but it abdicates their responsibility in this regard. As noted in the Ontario Auditor General’s report, the NPCA has not done any work on improving water quality since it suspended its restoration program in July 2017. In May 2018, eight months after suspending the Water Quality Improvement Program, the board approved draft terms of reference for a new restoration grant and in August 2018 began accepting applications. A few months later the management team cancelled this same program. Such is the disarray at the NPCA that shows no signs of abating. The Niagara Chapter of Trout Unlimited Canada and the Niagara Restoration Council work together to restore and protect the headwaters of Twelve Mile Creek, Niagara’s major cold water resource that flows from Pelham through Thorold and St. Catharines into Lake Ontario. This partnership includes stream restoration in Short Hills Park and a Landowner Stewardship program to address the 80 per cent of the stream that flows through private lands. Prior to 2017, the NPCA was a primary local source of expertise and support for these projects. With the firing of restoration staff, the cancelling of a restoration grant program and now the firing of one of the last key restoration resource persons, NPCA management has confirmed the low priority they assign to programs for improving Niagara’s water quality and aquatic health. This is the same important work that will help mitigate the recent unusual storm surge and flooding events caused by climate change. With the old Board of Directors voted out and the appointment of a new interim board, there was reason to hope that the NPCA would return to its mission. Given the current state of flux at the NPCA and the critical comments from Ontario’s Auditor General’s report, it is frankly bewildering to try and understand why this new board would sanction the loss of a valuable employee, especially when the recommendation came from an interim and unqualified management team. Will Niagara ever have a focused and effective Conservation Authority? Endangered Species Act Review- New Assault on Thin Green Line of Environmental Protections In Ontario. A close look at the language of the Ontario government’s consultation paper on the Endangered Species Act clearly shows that there is no sense of the urgent need to protect bio-diversity from the extinction crisis that is enveloping the world. Rather than any lamentation over the loss of species, there are phrases that ominously treat the current minimalist legislation to protect their habitats as a bothersome expense for business. Round-leaved Greenbrier, Photo by Joyce Sankey. These Greenbrier woodlands have been defended over many years by a remarkable brother and sister team of Peter and Jean Grandoni, dairy farmers with a deep connection to the earth, whom I met in the mid- 1970s. As the late Peter Grandoni explained to me, the need to protect Greenbrier habitats had been recognized by the provincial government as far back as 1960 in the Lake Erie Transportation study which pointed to the significance of three Niagara Falls forests to the survival of the Round-leaved greenbrier in Ontario. The situation regarding the Greenbrier is similar to that of many of Ontario’s 243 Species at Risk today, and what needs to be known to protect its habitat was understood by dedicated public servants sixty years ago. For their part, the Grandonis, whom I worked closely with starting in about 1976, had a profound understanding of the importance of the swamps that provide the habitat to the Round-leaf Greenbrier. What was so tragic to witness over the years, was how our opportunities to save the Greenbrier were wasted over the years we worked together. 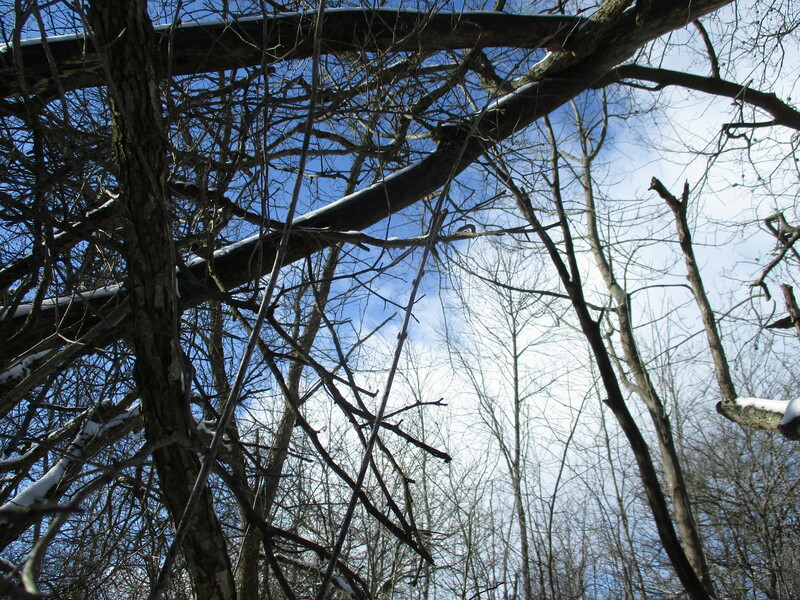 For instance, we failed to remove a large farmland parcel in which the rare vine hung on in a woodlot, from the urban boundary at a 1978 Ontario Municipal Board (OMB) hearing . However, later the parcel was brought by a responsible developer, and the woodlot was saved in its entirety. Without any controversy the East Wood development protected the Threatened Greenbrier. The homes were also arranged carefully away from the swamp wetland forest which contains vernal pools for breeding amphibians. While this developer protected the habitat of the Threatened Greenbrier voluntarily, two others forced me to take part in epic struggles at the OMB, with PALS and Jean Grandoni, to protect such habitat. One stronghold of the Threatened Greenbrier was in a twenty five acre forest in Niagara Falls, along Garner Road. It was part of a larger 125 acre parcel, largely farmland. The entire parcel was at one time owned by the City of Niagara Falls and could at that time have been properly turned into a protected municipal forested park. When the Garner Road Forest was sold to a developer by the City, Jean Grandoni asked the Niagara Falls City Council to sever the forest from the largely agricultural property and retain it. The developer responded with a Strategic Lawsuit Against Public Participation (SLAPP). Jean Grandoni was forced to seek the assistance of the Canadian Environmental Law Association, who achieved a negotiated settlement and later was forced to apologize at a Niagara Falls council meeting. After ecologist Albert Garafalo prepared a presentation to the Niagara Falls City Council on the Garner Road Forest, the developer retaliated by clear cutting half of it. 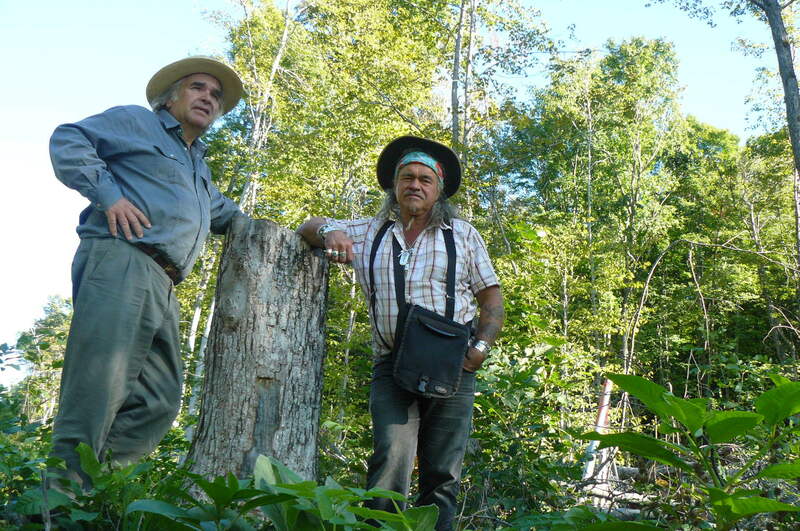 The forest and the Greenbrier was rescued from complete destruction only after a veteran ecological activist John Lynn, contacted the Hamilton CHCH television station. The remaining 12 acre forest of the Fernwood subdivision was protected by an OMB appeal made by PALS and Jean Grandoni (following the death of her brother, Peter). OMB Witness Statements were filed by two experts on their behalf, Bruce Kershner, and Hugh Gayler, and during an OMB field visit Kershner, discovered a previously unidentified Species at Risk, the White Wood Aster. 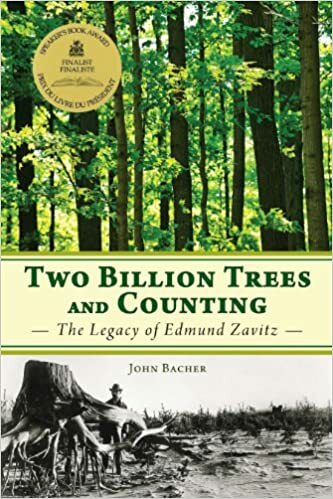 Having two Species at Risk in a dozen acre forest, which also has a rare Buttonbush ecological community, had a major impact, as the developer gave in prior to the hearing after an exchange of expert witness statements. Before the full hearing was scheduled the developer agreed to transfer title to the forest to the City of Niagara Falls for a nature park. Later the developer admitted the higher price he was able to make for his lots by having a forested amenity near their homes, more than compensated for what he lost in terms of developable acreage. He later called Jean Grandoni, whom he had earlier issued a SLAPP suit against, a voice of conscience for good development in Niagara Falls. It is unfortunate, that had the Preliminary Proposals of 1977 to the Niagara Escarpment Plan been adopted, the Round Leaved Greenbrier, part of what is now understood as the Thundering Waters Forest, would have been protected without OMB drama. And, tragically in 1992 a thirty five acre old growth forest north of Oldfield Road was clear cut on lands which were then proposed to be protected as an Escarpment Natural Area. However, likely through informal pressure from the Ministry of Natural Resources (MNR, successor to Lands and Forests), 10 acres of its habitat was protected as a linear forest, adjacent to a power transmission line. This was set aside informally, to in effect protect the habitat of the Round-Leaved Greenbrier, which when the Ontario Endangered Species Act was proclaimed, was recognized as a Threatened Species. Development conflict with endangered species and the natural habitat they live in has actually been quite rare, perhaps because of two important studies- the previously mentioned 1970 Phillips study and the 1980 joint Niagara Region and Brock University Environmental Sensitive Areas study, popularly known as the Brady report. The negative comments about the current Endangered Species Act cited in the consultation paper ignore the reality of what I have experienced in Niagara. Saving the habitat of endangered species has been an economic benefit not a detraction. The norm in Niagara of hundred acre 19th century farm lots is similar to those in the Carolinian zone, the most important area of threatened bio-diversity in Canada. If the wooded areas of this landscape, which are often back- woodlots away from road access, are protected, the remaining real estate parcel, as Jean Grandoni was told by a developer is worth more. The Endangered Species Act in its current form has been a valuable supplement to good land use planning in Niagara. The attacks on it in the discussion document about being anti-business are inaccurate. By saving natural areas near urban spaces it has increased the quality of urban development. If one goes to see the lands identified by both the 1970 Phillips Report, and the 1980 Brady report, all these areas are larger, and likely if inventoried, more biologically diverse, than they were when these studies were written. The exception, which proves the rule as to the importance of the Endangered Species Act, is an area identified in the Brady Report as the Ramsey Road Woodlot. It has become popularly known as the Thundering Waters Forest. Between 1993 and 2014 the Greenbrier’s habitat was part of a 12 acre linear forest north of Oldfield Road, and adjacent to vacant land that was clear cut out of a larger 35 acre old growth forest. Although this area was allegedly clear cut for an industrial development, it remained vacant since there was no demand for more industrial land. This situation changed in 2008 when the area went through a process known as the Thundering Waters Secondary Plan, which eventually brought residential zoning to the property. During the Thundering Waters Secondary Plan process, the developer initially denied that the Round Leave Greenbriar was present in the twelve acre linear forest. However, naturalist Albert Garafalo consulted with MNR and obtained an approximate location. Then he, myself and Joyce Sankey of the Niagara Falls Nature Club went into the forest and took photos of the Greenbrier and obtained GPS locations. After the developer admitted that the Threatened Greenbrier was present the draft plan of subdivision set aside one acre of the ten acre linear forest to protect its habitat. The Niagara Falls Planning Department attempted to protect the entire area. However, at the Public Meeting under the Planning Act where their recommendation was discussed, the developer’s ecological consultant made a presentation to the Niagara Falls City Council. 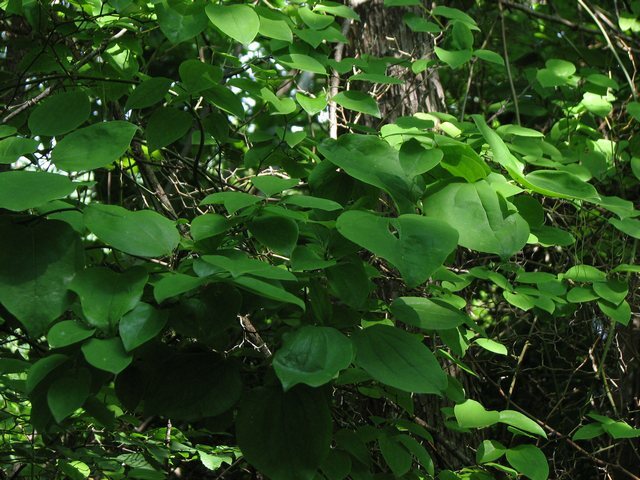 She stated that irrespective of its abundance in Canada, in the southern US, the “cat brier”, as she dismissed it, was seen as a common and troublesome weed. In response to the developer’s ecological consultant, the Niagara Falls Planning Director, Alex Herlovitch indicated that he wished simply for MNRF to have the usual discretion to protect the habitat of the Threatened Species through the subdivision registration process. The council then voted to reject his recommendation. As a result, appeals were made of the subdivision by PALS, Jean Grandoni and the Ministry of Municipal Affairs and Housing (MMAH) to the OMB. There was what was supposed to be a Pre-Hearing Conference for the OMB on the issue of the linear forest. This turned into an OMB mediation between MMAH and the developer. The outcome was that the linear forest was shrunken from 10 to 3 acres. Dense blazing star. Photo by Daniel Nardone. While the exact area of the habitat of the Greenbrier was protected, the loss of seven acres of the linear forest eliminated seven acres in which the Threatened species could expand into. The lost potential habitat also eliminated vernal pools which provided habitat for breeding amphibians. My long experience attempting to protect the habitat of the Round-leaved Greenbrier in Niagara Falls shows that when populations of Threatened species are well documented for decades, they are still vulnerable to site alteration which can destroy them or prevent the ability to increase their range. Language about current restrictions being “time consuming” and questioning if regulation is desirable, is not the way to go. Regulations need to be more prescriptive and have more of an explicit mandate to encourage the spread of the species range on adjacent lands which provide appropriate habitat. In the case at hand, all of this is urgently needed to protect the area south of Oldfield Road that remains in natural habitat. This five hundred acre area is what is left from the larger natural habitat identified in the 1980 Brady Report as the Ramsey Road Forest, now the site of the Thundering Waters development. Such large blocks of natural habitat in the Carolinian life zone are inevitably the most biodiverse in Canada, and the 1977 Niagara Escarpment Preliminary Proposals and the 1980 Brady Report point to how the Ramsey Road Woodlot (now Thundering Waters) is a significant natural habitat that should be protected from development and site alteration. 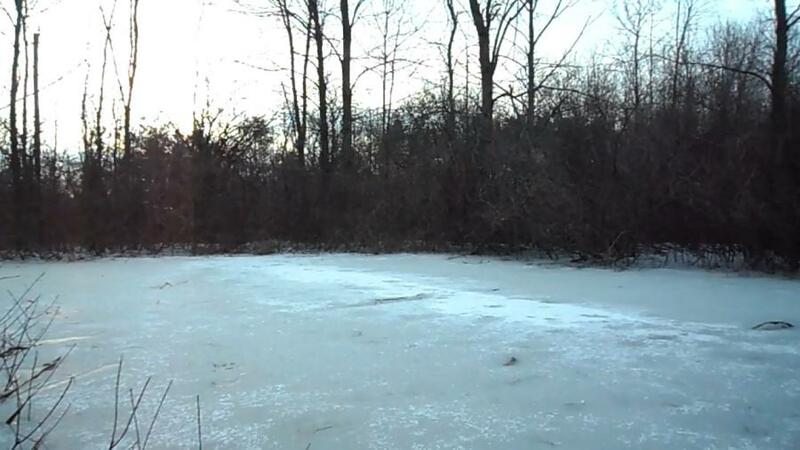 Additionally, most of this area has been this way , as a Provincially Significant wetland since 2010. Some however, is threatened by proposals to build roads through the wetlands to urban development within the area that had been identified in 1980 as the Ramsey Road Forest. Acoustic studies have been done on three species of Endangered Bats. These benefit from the old growth forest habitat, in a similar fashion to the Chimney Swift. (benefit from grooved bark and tree cavities) Non-migrating bats in Ontario have all been considered as Endangered for the past three years. Protecting their habitats now is quite important since their numbers are slowly recovering from a disastrous plunge precipitated by the White Nose Fungus. From careful study of the studies of species at risk at Thundering Waters it has been the developer that has been responsible for delays. There have been serious delays in submitting Information Gathering Forms (IGF) documents, which are preliminary to the basic research needed to protect the habitats of species at risk. There is one other controversy in Niagara that I have witnessed involving a Species at Risk. This concerns the Waverly Beach Forest in Fort Erie. It provides habitat for the Threatened Red Headed Woodpecker. Its habitat was old growth forest habitat, also identified in the 1980 Brady report as an Environmentally Sensitive Area. It is jeopardized now by a proposed extension of a road for a coffee shop. 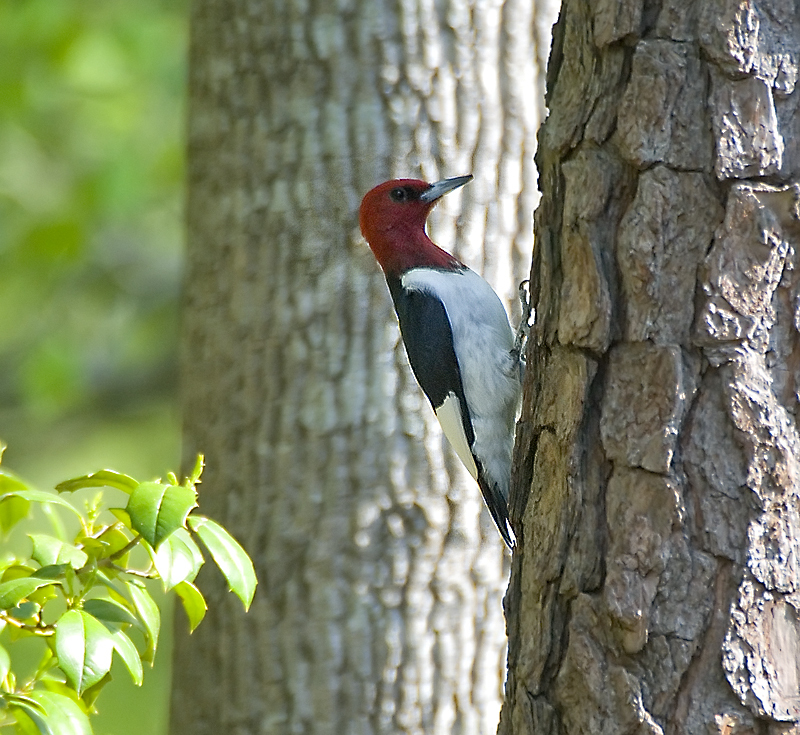 Red Headed Woodpeckers require old growth forests and as a result are vanishing across Eastern North America. Every proposed development in Niagara where I have seen a controversy over a Species of Risk, has been on lands which have been long identified in the 1980 Brady report as an Environmentally Sensitive Area, and identified in municipal official Plans as Environmental Conservation Areas. These correspond to what provincial policy has defined as Provincially Significant Woodlands. The signs have been posted in Niagara for decades where the habitat of species at risk are located. If developers face onerous delays this is because protective policies have been put in place to safeguard these lands for good reasons. Lands where the Species At Risk are found should be avoided for development, rather than be the scene of battles which should have never taken place. To live in good terms with our fellow species should be a key goal of land use planning. In Niagara this can be done by simply respecting the framework of a now fifty year report. It is not served by the basic premises behind the government’s discussion paper on the Endangered Species Act. (l) Dr. John Bacher and Elder Danny Beaton. After becoming leader of the Conservative Party of Ontario, Ontario Premier Douglas Ford announced his election campaign with an ominous promise. This was that “If I have to hop on that bulldozer myself…we’re going to start building roads in the Ring of Fire.” Ford promised to make 5,000 square kilometer stretch of James Bay Lowlands-now a vast water strong and carbon sequestering wetland: a source of riches “comparable to the oil sands of Alberta. Ford is not climbing on the bulldozer in a literal sense. What he is doing however, is igniting a review of Ontario’s Endangered Species Act which will end on March 4th. 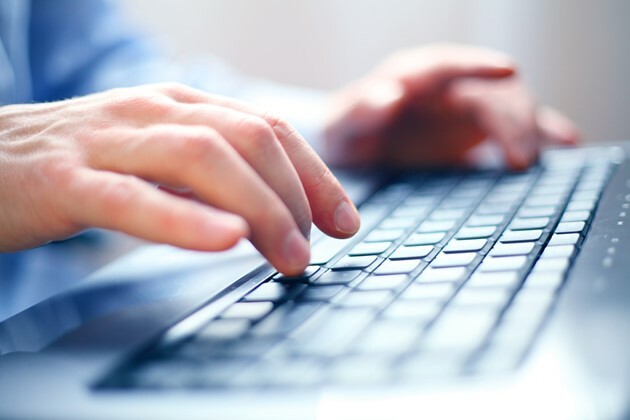 To influence what is happening go the Ontario Ministry of Environment, Conservation and Parks, website and comment through the Ontario Environmental Bill of Rights (EBR) Registry. One of Ford’s revealing initiatives is to remove “Climate Change” from this Ministry’s name. One of the areas threatened by his review of the Endangered Species Act, the James Bay Lowlands, sequester 12 megaton’s of carbon dioxide, the leading greenhouse gas contributing to human induced climate change, every year. The review consultation document now available through the EBR is full of negative comments about the Endangered Species Act imposing onerous restrictions on business. There is little to say about the value of saving species from extinction and regional extirpation. The most disturbing specific proposal is would increase the harm caused by the creation of exemptions for hydro, forestry and commercial development carried out in 2013. The consultation paper has a suggestion to adding changes that would politicize this process through exemptions based on ministerial discretion. In terms of a practical achievement that could be won through a campaign abolishing this loophole, inserted several years after the act had been passed through onerous public consultations is the best that can now be achieved. Ford’s review threatens two great wetlands of fundamental regional significance to Ontario. One is the best example of the still relative intact ecology of vast Hudson Bay Lowlands, still beyond the limits of commercial logging and roads. Another is the biggest wildlife refuge for the landscape of southern Ontario, dominated by agriculture. In northern Ontario, the review threatens the Hudson Bay wetlands. It is the third largest such complex remaining in the world, and a colossal carbon sink. It is the largest contiguous temperate wetland complex in the world. The other great vulnerable reservoir is the Minesing Wetlands. It is the biggest remaining wetland complex in southern Ontario’s landscape dominated by agriculture. The Minesing wetlands have become a refuge for species in the landscape being wiped out here such as the American Bittern, Least Bittern and the Lake Sturgeon. It is a place big enough for previously extirpated species such as the Bald Eagle, and the Giant Swallowtail Butterfly to return. The Endangered Species Act current protects Ontario’s greatest threatened wetlands, by safeguarding their highly visible and spectacular indicator species. The forested peat wetlands of the James Bay Lowlands are the only success story for the Threatened Woodland Caribou. It is an iconic species on the Canadian Quarter. The James Bay Lowlands where Ford longs to drive the bulldozer is the only part of Ontario that has seen populations of Woodland Caribou actually increase in the ten years the Act has been in operation. The Endangered Species Act has helped to hold back the very roads that Premier Ford is so keen to take a ceremonial opening ride upon. Despite considerable protests from sports fishermen and recreational hunters it has served to close roads which threaten the caribou’s habitat. The Minesing Wetlands is guarded by another charismatic species. It is the Endangered Hine’s Emerald Dragonfly. Minesing’ vernal pool wetlands are the only place in Canada where the Endangered Hine’s Emerald Dragonfly survives. The nearest American population is located in across the waters of Lake Huron in Michigan. Its presence is helping to slow down sprawl in Midhurst by being a concern in the reviews being undertaken through an environmental assessment. The Minesing Wetlands is already being damaged from pollution laden sediment from adjacent agricultural operations. 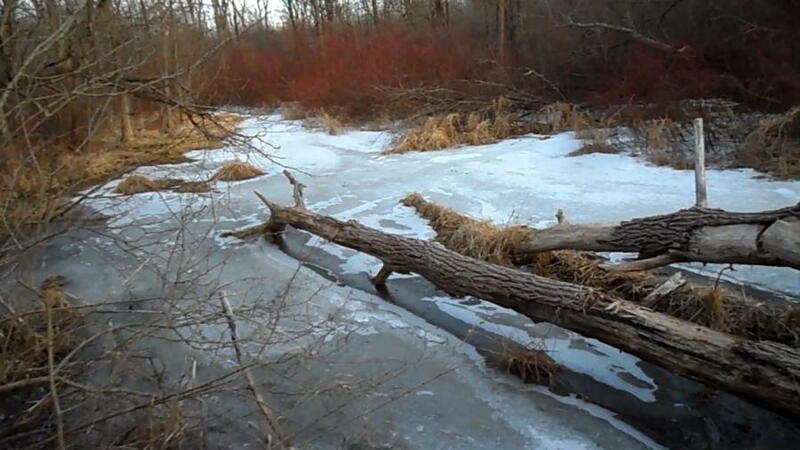 This causes parts of the wetland to be marred by a growing ring of ominous dead trees. While the presence of dead trees, long associated with two great heronies is normal, what is happening is a warning signal. The expansion of zones of snags and the failure of living trees to succeed them is a sign of ecological degradation. Over time the snags themselves disintegrate and an artificial lake full of exotic invasive species replaces the former wetlands. A new wave of tree killing pollution may be unleashed by the planned explosive growth of Midhurst. An increase in population for this community from new development for over 12,000 people would unleash a flood of storm water into Willow Creek, which drains into the Minesing Wetlands. Such pollution would threaten an important indicator Species At Risk, the Lake Sturgeon. Minesing has became the last healthy population of this species, which once gave Ontario caviar, in the entire Lake Huron/Georgian Bay Basin. It is also a refuge for the Wood Duck, Trumpeter Swan and Sandhill Crane. It is appropriate that one of the leading defenders of the Minesing Wetlands has become Danny Beaton, a Mohawk of the Turtle Clan. Beaton reveres this region as the “Peacemaker’s World”, the birthplace of the founder of the Haudenosaunee Confederacy. 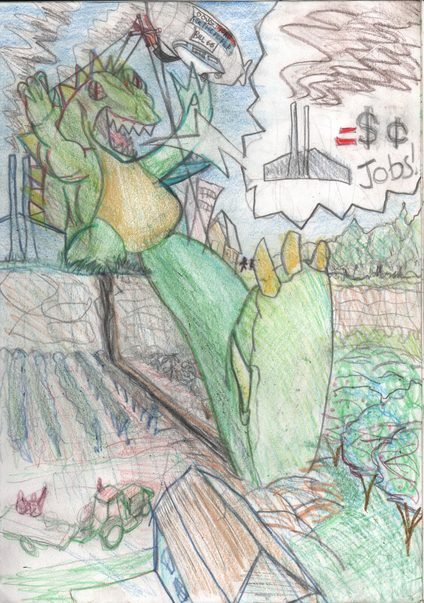 That a member of the Turtle Clan has become such a towering figure in the battle to save Minesing from a deluge from sprawl is appropriate. Turtles have now become one of the alarm bells that have been triggered by declines monitored by the Endangered Species Act. Recently the Midland Painted Turtle has was designated as a Species At Risk under Ontario’s Endangered Species Act. While vanishing throughout most of Ontario, including another threatened wetland, the Thundering Waters Forest of Niagara Falls, painted turtles are still commonly seen in Minesing. Long before this species was designated in 2018, Minesing was greatly appreciated by Beaton as a refuge for other turtle species. These include the Snapping Turtle, Wood Turtle, Blanding’s Turtle and Musk Turtle. All these turtle species would be threatened by residential development near Minesing since they are vulnerable to pet predation. Beaton has travelled the world, including the Amazon, to alert attention to environmental dangers. He recently, helped by Mohawks teachers in the region, went to the Hudson Bay Lowlands to study environmental threats. This journey was appropriate since the water contained in these wetlands, ecologist John Riley has found, approximates that of the entire Great Lakes. Beaton in his journey to the Amazon warned native communities not to have their traditional territories despoiled for corporate resource extraction. Ford in his lust to build roads in the pristine James Bay wetlands is following the call of not only mining companies but an influential lobbying organization the Ontario Federation of Anglers and Hunters. (OFAH) While it has sometimes championed legitimate environmental causes, notably protecting the Great Lakes from invasive Asian carp, the OFAH has advocated roads in the James Bay wetlands, and denounced the Endangered Species Act’s regulations to protect Woodland Caribou habitat for blocking them. As opposed to the junk science view of the OFAH that favours roads through caribou habitat, the Recovery Plan for Woodland Caribou of the Ministry of Natural Resources and Forestry, (MNRF) takes a very different view. This accurately reflects the history of Woodland Caribou’s decline throughout our continent. It notes that, “Generally woodland caribou require seasonal ranges in order of tens, hundred, or thousands of square kilometres of undisturbed or little disturbed boreal forest.” The plan notes that Ontario’ has lost fifty percent of Woodland Caribou habitat since 1880, and that it is advancing at a rate which threatens to wipe the species out by the end of this century. The James Bay Lowlands where Woodland Caribou populations area expanding is also one of the few areas in the province, where the species survives in sufficient numbers to assist in the subsistence economy of the native Creek and Ojibway communities of Northern Ontario. He found no need to spread such warnings in the Ring of Fire region. One of the reason that for the past decade the Ojibway and Cree have not been enticed to endorse road to mines schemes our collective memories of the consequence of past industrial assaults on their lands. Their communities listen to their elders who recall how hydro dams built in the 1930s caused rivers to dry up. Now these waters are threatened by toxic leakages from chromite and nickel mines. Beaton’s warnings make him akin to prophetic figures like Sitting Bull who sought to protect the Great Plains from the ravages of European agriculture in the 19th century. This reality is shown by the Hudson Bay Lowlands now becoming a bastion of habitat for the Snow Goose, as the birds have retreated from former nesting areas on the Great Plains. Now more than five million Snow Geese live in the Hudson Bay lowlands, in such abundance that hunting restrictions have been abolished. It is to be hoped that Ford’s planned bulldoze drive into the Ring of Fire will end up as modern day version of Custer’s Last Stand. Hopefully, an awakened public will force a retreat comparable to the one experienced regarding clean water legislation and the Green Belt.